Stonewall Gazette: Why have we become scientifically illiterate? 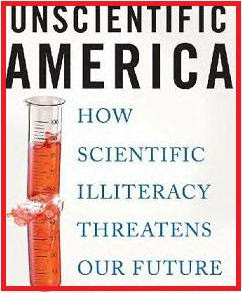 Why have we become scientifically illiterate? Fifty years ago, on May 7, 1959, British novelist C.P. Snow made his famous "two cultures" speech, in which he warned that the sciences and the humanities were increasingly separated by "a gulf of mutual incomprehension." But another, even wider gulf has developed, this time between science and the rest of society. Polls routinely reveal high levels of scientific illiteracy among both Americans and Europeans. We love the gadgets that science and technology produce, but have no basic knowledge of how they work — and we're not especially interested in finding out.